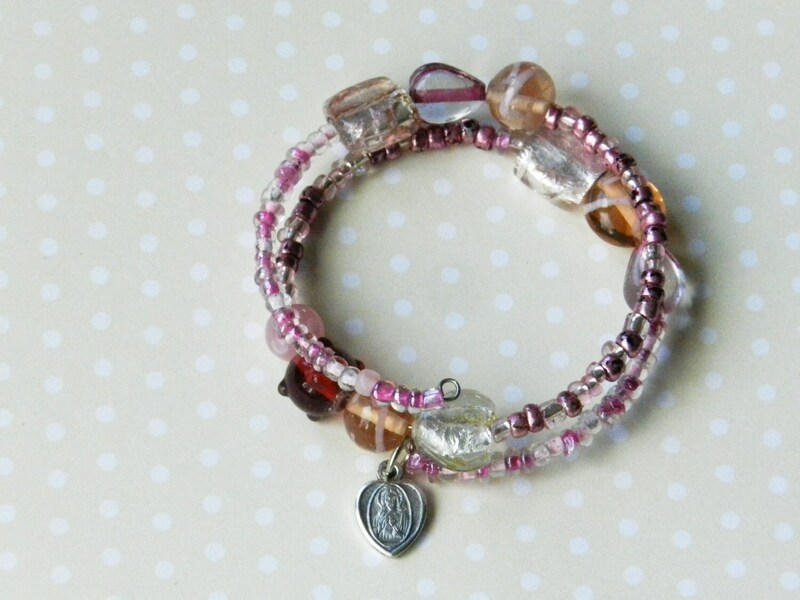 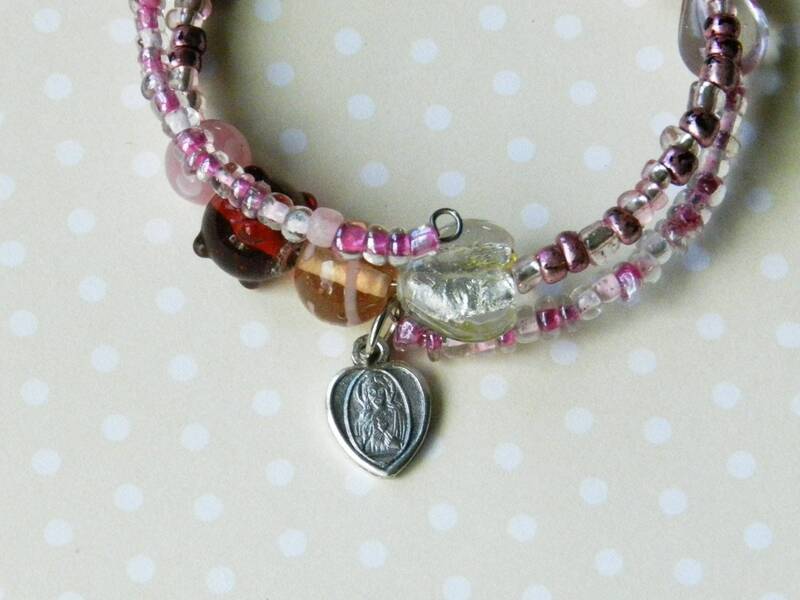 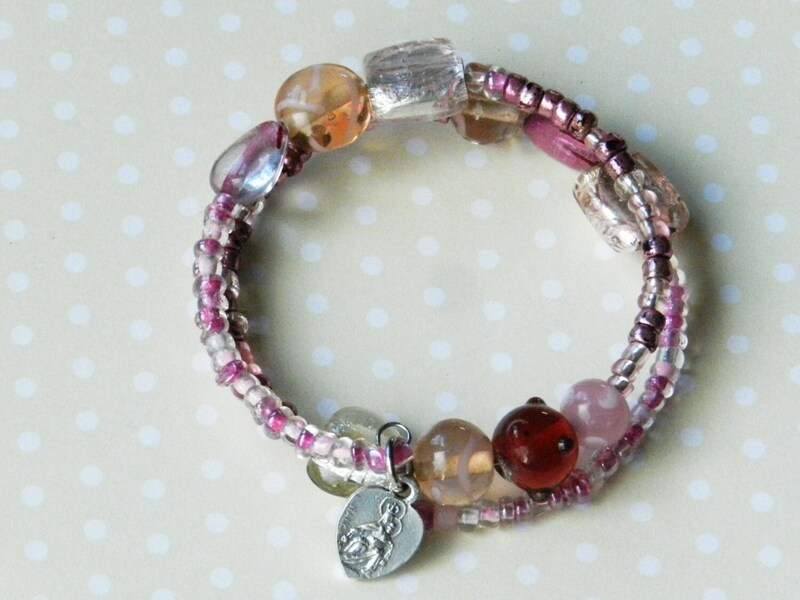 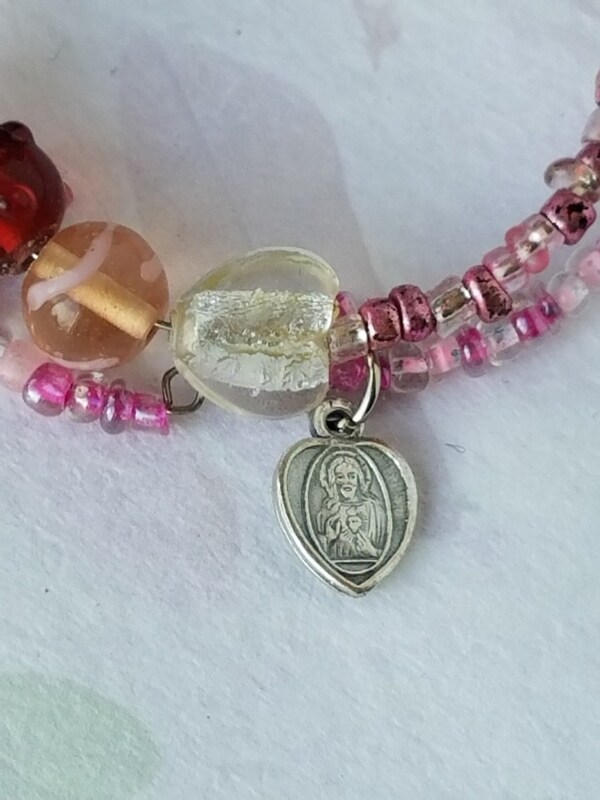 Catholic Bracelet Sacred Heart, Our Lady Of Mount Carmel Medal Pink Glass Wire Wrap Bracelet Artisan Jewelry Unique Catholic Gift. 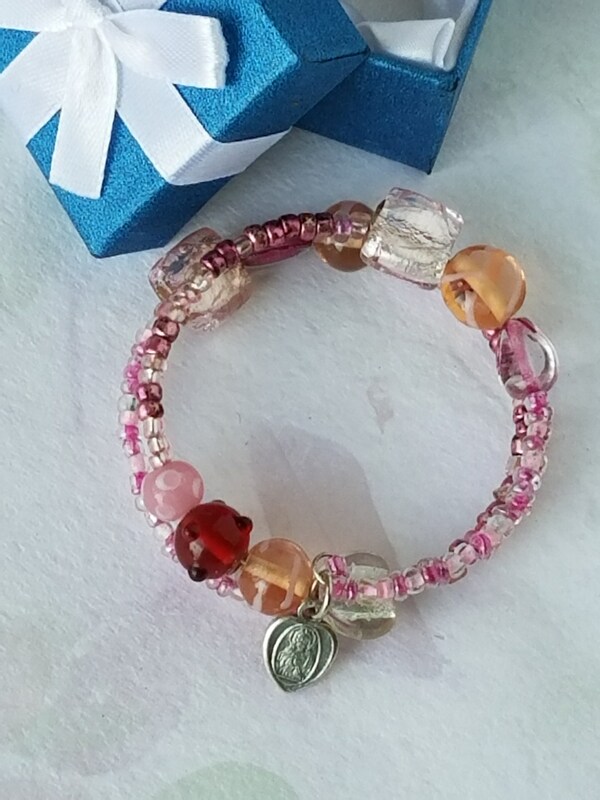 A wonderful gift for her for any occasion. 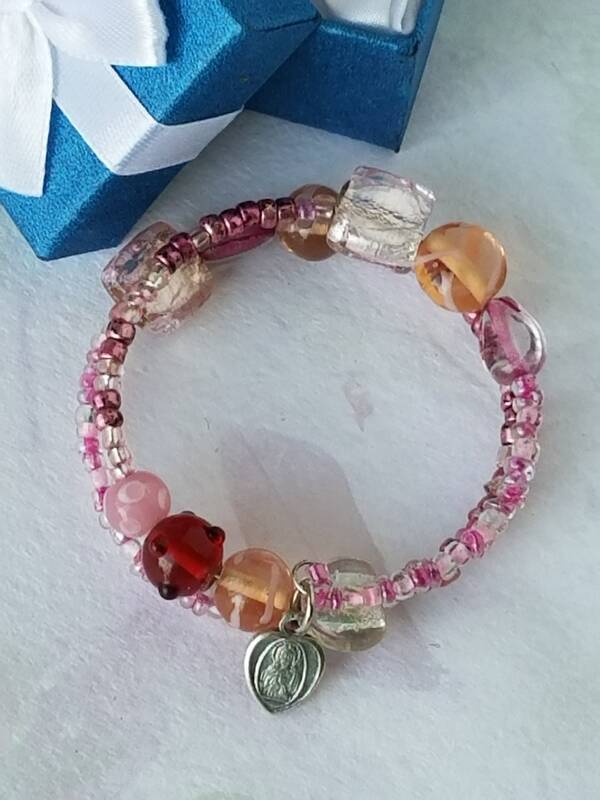 Great Sacrament gift, Mother's day gift and more! 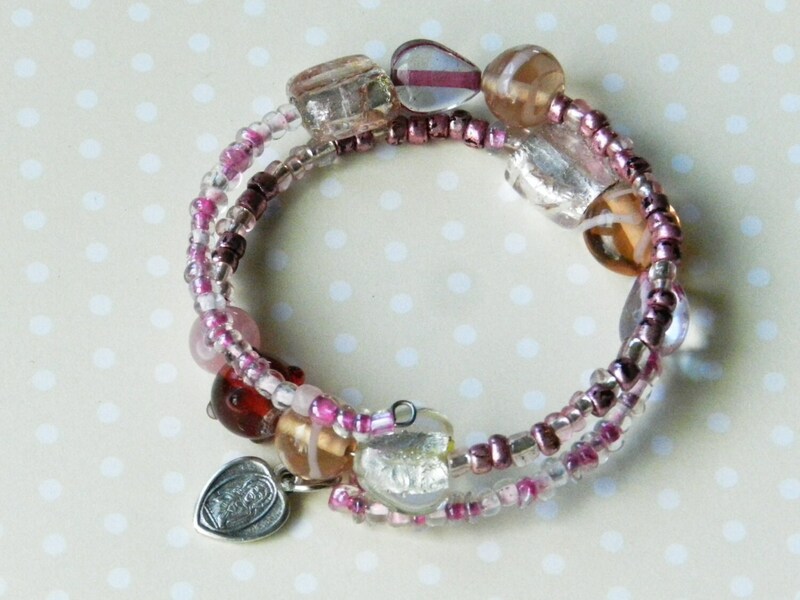 Adjustable layered spiral bracelet features multi colored pink and purple beads with different textures and muted purples, memory wire bracelet (one size fits most) with Pink Czech Crackle Glass. 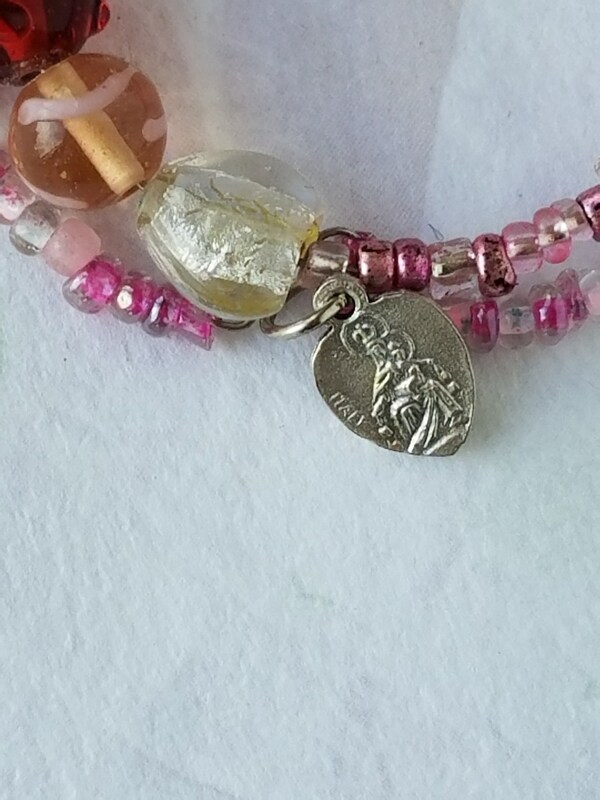 This Bracelet if one of a kind and is ready to ship.